Welcome to the 13th edition of Trending Through the Decades. This week it’s all about layers. Your layering style can be as simple as a jacket over jeans or as elaborate as a long chunky sweater layered over an airey, breezy, maxi (of course with another layer of tights underneath). I don’t know if accessories are technically considered a layer. 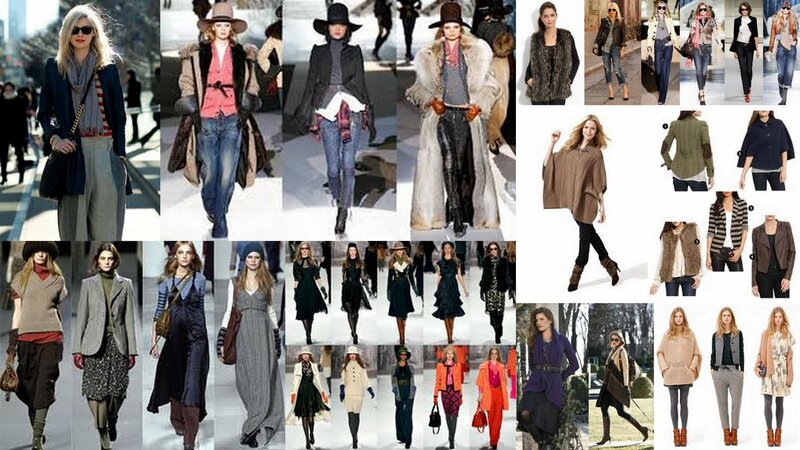 But, in my world add a scarf, vest,statement necklace or belt and you are indeed Trending the layered look. So layer your do or layer you don’t show us how your age decade styles this seasons warmest tred. It’s easy, I promise. No long tem contracts or selling of your first born. Just link up to the little blue guy below.. I would appreciate if you would put your age decade next to your name and if not to much trouble please link back to my blog so all of your fashionista buddies know where to find us. Have a wonderful week and layer up space baby it’s cold outside!!!!!!! This is so fun, will try to to link up. thank you for your sweet and kind words, i will still be around in this bloggy world, maybe justjust one day lesser than usual. ..:-P. yes if you can find someone to give the tickets to, I will be so grateful, just give me the address. thank you so much! Your blog looks so pretty! We have to layer in Texas...we begin the morning really cold and it is in the 70s and sometimes 80s in the afternoon!! I will try to post something for your link up! I like the new header! So you did make a change on your layout! good for you--it looks great! I think I live for layering! I'm going to half to link up today's look! yay! i will definitely be participating in this. i was so bummed i missed the christmas one. great idea with the layers! Love this! Just found it. The name is great! Nice idea! Normally I don't participate much, because I'm kind of always travelling and it's difficult to find the right clothes from a limited amount taken to trips! But as soon as I settle I will be here more often! Tammy, I've never used Google Plus (barely anyway), so I can't help you with that but I think I can explain how to link your blog to your facebook page. What's your e-mail address? Let me know and I'll try to write it out for you and send it to you! it's been warm here so i ended up wearing a vest rather than a scarf and coat. thanks for the link up! glad i made this one!!! Tammy this is a great post. I am a big fan of layering. Thank you for joining us at the Thursday Favorites Hop. Wishing you a happy weekend! xo P.S. Have you entered the Pink Poodle giveaway yet? Hi Tammy - what a great idea to do layering!! Hope you don't mind me posting two links, it's been nippy enough in England to pile them on! Thanks for the heads-up Tammy! I'm still trying to get caught up from the holidays. You're looking stylishly fabulous as always! I shouldv'e been here sooner! I procrastinate and then realize it is to late to get in on this. You give me plenty of time, I am just a serial procrastinator! Love to join in on the next fashion theme! Give me a shout out so I don't miss out!